After our trip to COL Financial, we’re supposed to go to Bierra Paluto to claim my prize but it did not happen so we went straight to BGC to claim our free P1500 Jollibee GC from Brother. When my husband bought my Brother GS2700 sewing machine, the Brother has ongoing promo of free GC for every purchase of sewing machine and embroidery models. You can snail mail the warranty card and receipt or visit Brother head office. We chose the latter. We got the GC but the problem is we can’t see Jollibee store so we have no choice but to look for other restaurants. 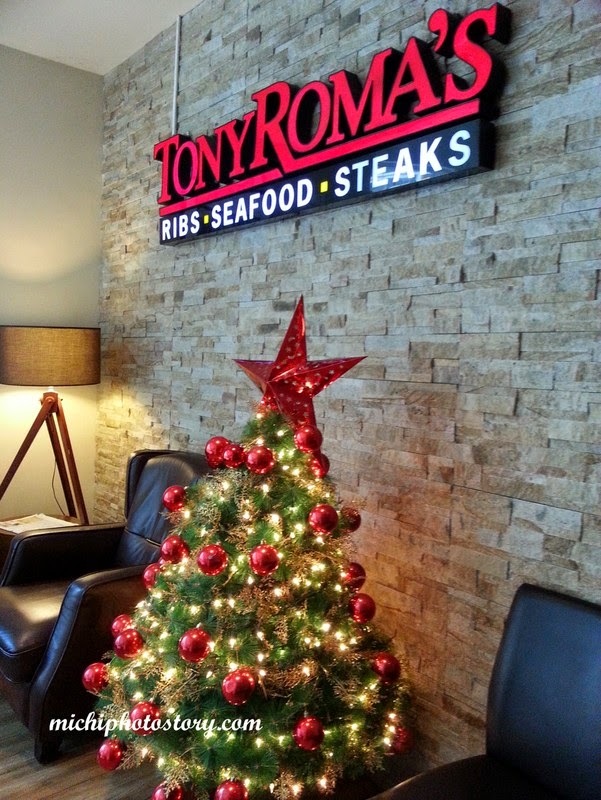 My husband suggested Tony Roma's since we haven’t tried it yet. 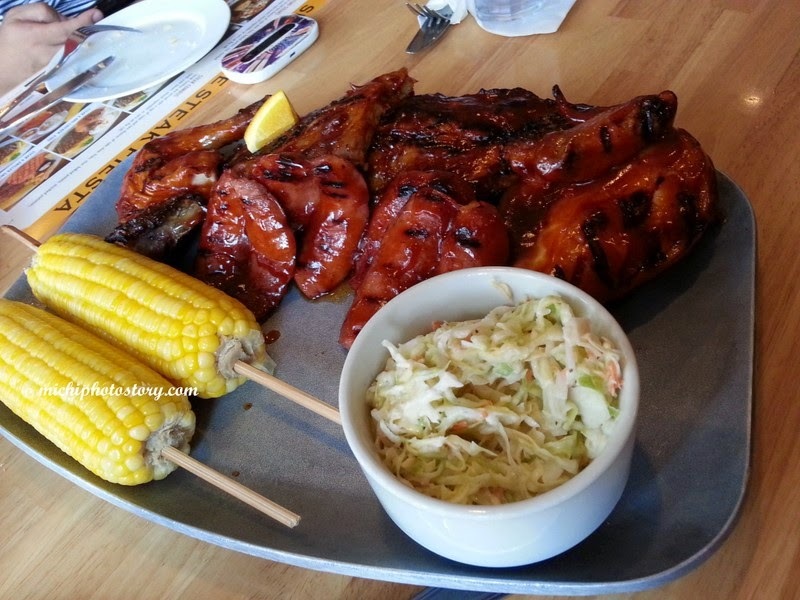 Tony Roma’s is known for legendary ribs so we ordered the “The Roma Feast”, it includes Carolina Honey ribs served with BBQ chicken, grilled sausage, corn on the cob and cole slaw P1695. While waiting, they serve complimentary bread and wipes. 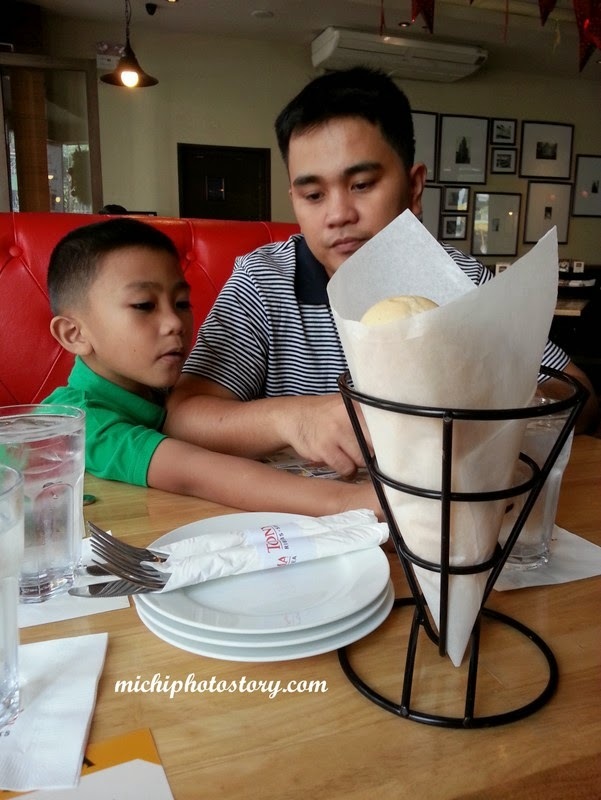 When our ordered came, I was not amazed with the presentation and looking at the food, it was not appetizing at all. I was praying hard that the taste is good because the price is not cheap. Well, it did not disappoint us. 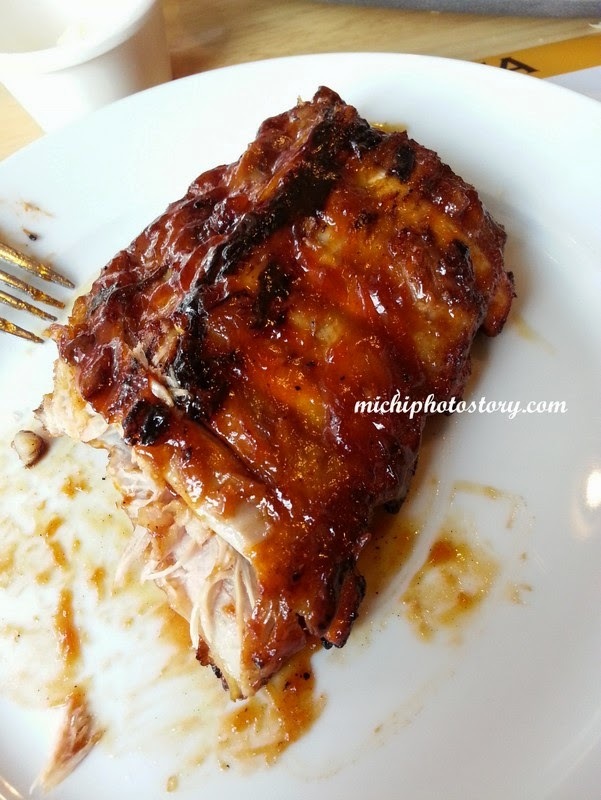 The meat was tender and flavorful, I enjoyed the ribs and sausage. I did not eat the chicken at nauumay pa ko sa nakain ko na chicken last Christmas. Hehehe! It is ideal to be shared by two but we’re already three persons and we were not able to finish our meal considering that we did not order any rice. 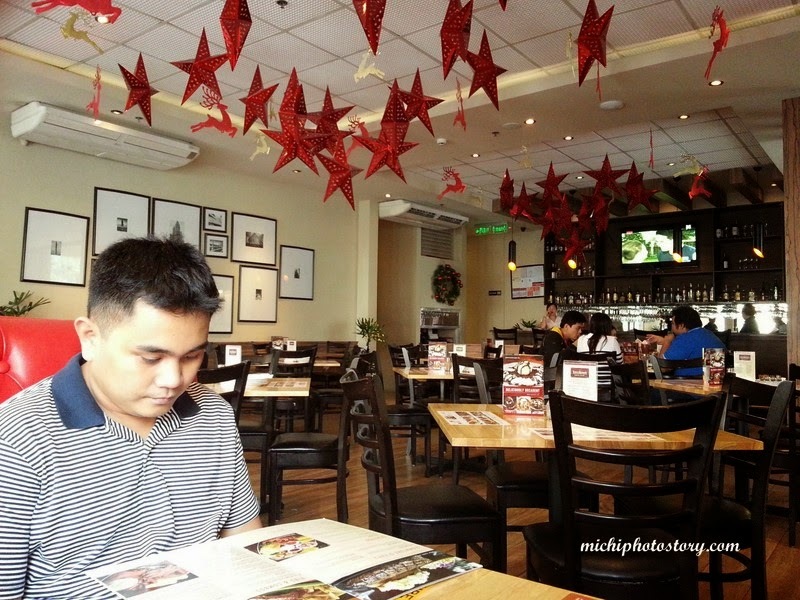 Though the food and service was good, it is not something that we will visit often because the price is quite steep for my budget. But good thing that they have on going promo that time, 25% off in any Fiesta Platter. P423.75 is still a big discount. 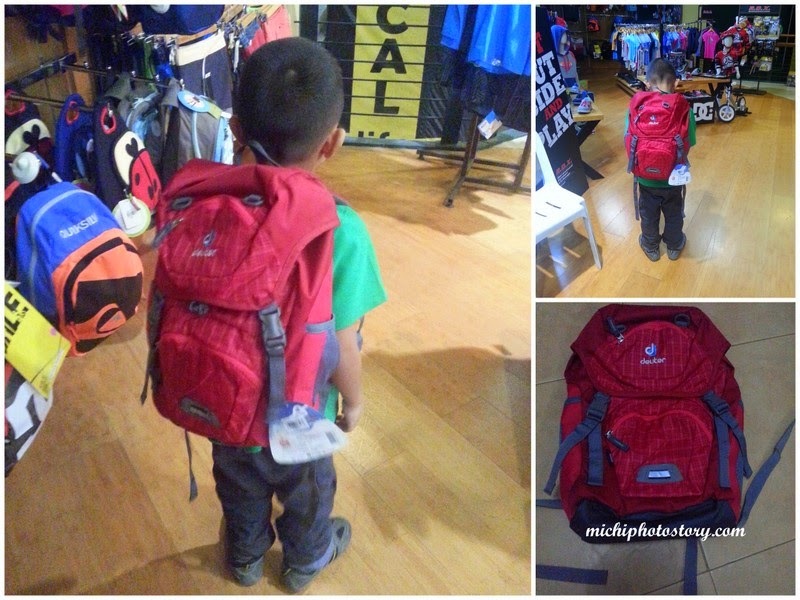 Before we went home, we checked the different store in BGC and I was happy because I saw this Deuter bag. I’ve been searching for backpack since June. I already checked Rustan’s in ATC but their Deuter bag is too small for my son. It was already the last piece so I bought it. Ayaw na din hubarin ng anak ko, lol. Pay na daw agad. 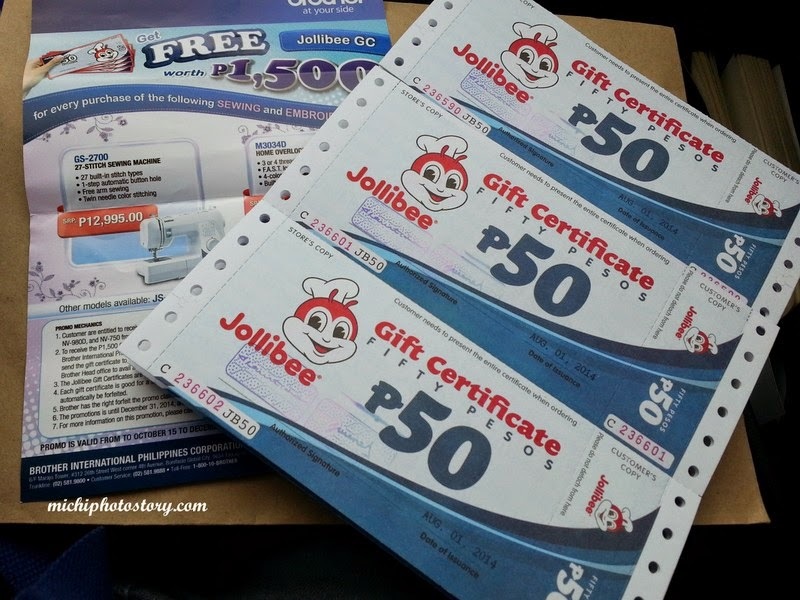 I didn't know that the Brother Sewing Machine comes with 1500 Jollibee GC. I wonder if the model we bought is included. Sayang. I don't know the start of the promo pero nag end siya ng Dec. 31, 2014. But you can still claim the gc 60 days after the promo. You can call Brother to verify, sayang din. Wow. It's nice to have a GC. And the food looks appetizing naman, especially for someone who's super hungry.